This large 1930s retro enamel sign is ideal for any collector or interior decorator. 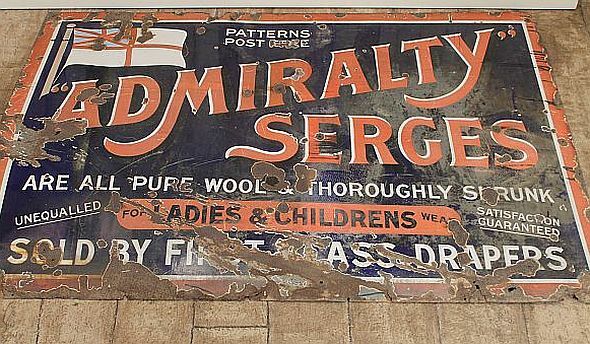 This enamel sign does have some wear and tear which is clearly shown in the photos. It is extremely unusual to find an original retro enamel sign in this size. This is one of a pair of retro enamel signs that we currently have; please see our other listing. A beautiful addition to our industrial, retro range and vintage items.